1.1 What does a lactating mother have to eat while breastfeeding? 1.3 WHAT NUTRIENTS DOES A BREASTFEEDING MOTHER NEED? 1.10 When do babies have to stop brestfeeding and take other type of food? What does a lactating mother have to eat while breastfeeding? Mother’s diet during breastfeeding is very important. It is important that food is adequate to provide the necessary nutrients for the production of milk. When nutrients are not provided, the body absorbs food reserve elements from the body of the mother. Over time, the mother can reach a state of some protein deficiency, vitamin, or mineral needed for good health. Eventually, even the milk produced quality remains, the body can not produce the amount necessary for the demands of the baby. During lactation there are higher calorie requirements (the mother must eat energy foods, such as nuts), proteins (they can be obtained from legumes or other foods rich in protein), omega 3, calcium, folic acid, magnesium, beta-carotene, iron and iodine. With the passage of time, a breastfeeding mother can reach a deficiency state of some protein, vitamin, or mineral necessary for good health. When the time comes, even if the milk produced remains of quality, the body will not be able to produce the amount necessary for the baby’s needs. WHAT NUTRIENTS DOES A BREASTFEEDING MOTHER NEED? Calcium is required for proper formation of bones and teeth of the baby, and to the needs of mothers. Women who breastfeed need to ingest 1200 mg of calcium daily, more than the 400 mg of calcium per day people of those who should not breastfeed require. The main source for this nutrient is milk. Breastfeeding mothers should drink about 5 glasses of milk, or their respective equivalents in lactic derivatives such as yogurt or cheese, to cover minimum needs. If you can not or do not want to drink much milk, you can use other mineral rich foods, especially tofu, a soybean derivative, which is even richer in calcium. The following table shows an equivalence between the calcium of cow milk, cheese, soy milk and tofu for three ounces, or about 85 g.
Nuts are one of the foods richest in omega 3 and also contain a lot of folic acid, calcium and magnesium. Besides milk and tofu, calcium can be obtained from other plant foods. For example toasted sesame seeds contain more than 800 mg of this element by the same amount mentioned above. There is also calcium-enriched bread with more than 600 mg for the same weight (85 g). There is also the sesame paste or tahini, which is extremely rich in calcium. 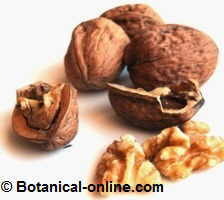 Other nuts, such as walnuts, almonds or hazelnuts, also have a good amount of this mineral. Vegetables that have this mineral are those vegetables that have dark green leaves, such as broccoli, cabbage or cauliflower (cruciferous vegetables). Within sea vegetables, seaweeds contains a lot of calcium. Spinach and chards, however, are not recommended as calcium sources, since they contain oxalates that block their absorption). Vitamin C is needed to properly absorb iron. It also serves as one of the main antioxidants to protect the baby. One of the richest food in this vitamin are peppers, one of the plants in the world that has more quantity, after acerola (Malpighia glabra L) or dog rose (Rosa canina); citrus are also very rich (oranges, lemons, grapefruit, etc.). Dog roses have 7% of its weight in vitamin C, a very large amount compared with the 0, 0, 05% of the orange. 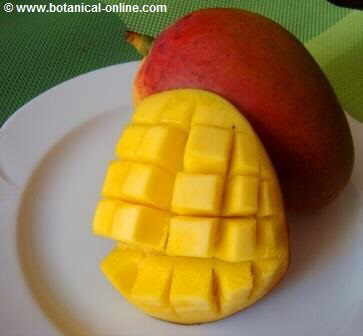 Other plants that contain this vitamin include cauliflowers, radishes brussels sprouts, spinach, bananas, apples, melons ,carrots, pineapples, pears, papayas, barley, garlic, blackberries, celery, beans, strawberries, raspberries, currants, grapes, figs, chicory, blueberries, potatoes, avocados, soy, custard apples, pomegranates, coconuts, etc. Vitamin D helps calcium to be absorbed more easily. Vitamin content in these products is not very high, so today the tendency is to add it in many of them. Each liter of milk is usually reinforced with 400 IU of this component. Cheeses and yogurts do not generally carry it, so they practically do not contain it. This “food vitamin” is called Vitamin D2 or ergocalciferol. It is desirable that the infant takes about 10 mcg daily of vitamin D in supplement form. They are necessary for the mother to provide essential fats to the baby through the milk. Fish oils, especially oily fish like tuna or mackerel, seeds and dried fruits are rich in them. Tobacco: Tobacco is very harmful during pregnancy. Nicotine is dissolved in the blood and the baby may receive directly all the negative effects of this drug. Drugs: The resto of the drugs, as tobacco, are highly toxic to the baby. All medications should also be strictly prescribed by the doctor, especially during pregnancy and lactation. Stimulants: Certain drugs, stimulants like coffee, tea or cola drinks, produce restlessness and nervousness. There are no adequate during lactation by decreasing the serenity of the mother and baby and diminishing their need for sleep. These are all potent diuretics which increase the level of liquid expelled by the urine. As the mother needs to have a good supply of water to produce plenty of milk, these foods do not help the mother during this period of his life. Alcohol: A little wine or alcohol may have a sedative effect sometime during the lactation, but habitual or excessive intake of alcohol can affect the baby who absorbs the drug through his mother’s milk. This will make the baby to feel sleepy and he or she won’ t get all the milk she or he needs. Many studies have shown that the ingestion of alcohol, even in moderate amounts reduces the production of milk. Note: It is necessary to drink lots of water during lactation for the mother to be well hydrated and can produce enough milk. Another possibility is to drink fruit juices or vegetable broths that hydrate the body and provide many nutrients valid for both mother and baby. When do babies have to stop brestfeeding and take other type of food? It is desirable that breastfeeding continues until the 4 or 6 months, even, if possible, during the first year. From here, other food than breast milk should be added one by one to check for possible allergic reactions and for the baby to get used to new foods.